Well I can't say that I was expecting a hard hitting electronic record from Season Of Mist I also am not surprised. This is a band who have crafted something absolutely monumental, a record that has all sorts of synth sonic assaults but balances it with a clear influence from black metal artists that never feels over the top or silly but rather like another interesting element in the sound of a truly dynamic and refreshing act. This is a fun listen to say the least and one that pushes my listening frontiers to get me dancing. It's sort of fun to find a record that is so unexpected in a labels discography. 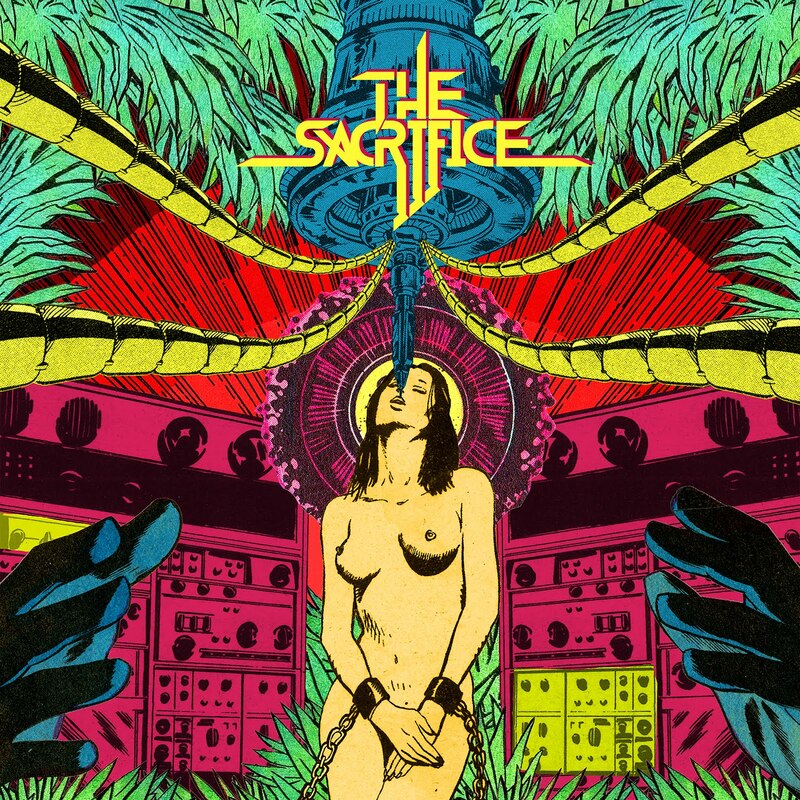 The best part is that The Sacrifice is so purely good that it doesn't feel like Season Of Mist is conforming to a trend but rather that they are starting to push for something more potent and more exciting. The driving magic of these beats is exciting and infectious. It makes for an addictive listen full of bright colors ad diverse sonic pallets. This isn't a record that seems needy or desperate to impress. It isn't a record that begs for attention but rather an album that demands it,and that is what really separates the me from the boys with this type of music. It's hard to turn The Sacrifice off simply because why would you stop something that feels so good? While good time dance foor beats might not be standard Season of Mist fare, I think it's rare to find a band who are able to bring in deeply weird and slightly disturbing elements into this sort of thing. the compositions owe just as much to Pink Floyd as they do Depeche Mode, and yet the diversity of the sound is not a sort of sticking point. A record that feels wholly natural and very exciting - The Sacrifice will leave your heart pounding and fist in the air.